The Ghosts set out on a journey to unravel the mysteries of ancient Egypt. While on their expedition they accidentally awaken the ghost of a Pharaoh that has been asleep for the last 5000 years! Now they'll see what ancient Egypt really looked like first-hand. 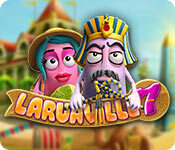 Laruaville 7 continues the series’ tradition of bringing something new and interesting to the puzzle matching genre with a more casual pace than previous versions. Laruaville 7 is rated 4.1 out of 5 by 36. Rated 5 out of 5 by joannes0 from Great Game I like these games. They're not your usual match three. They've put their own spin on it. I especially like that they're challenging without being impossibly hard. Games that are too hard become no fun after a while, but these are just right. Fun. Rated 5 out of 5 by betskand62 from Another great Laruaville game These games, also including the related Cursed House and Spellrium games, are really fun. They are Match 3 but with many special extras and variations that make them stand by themselves. 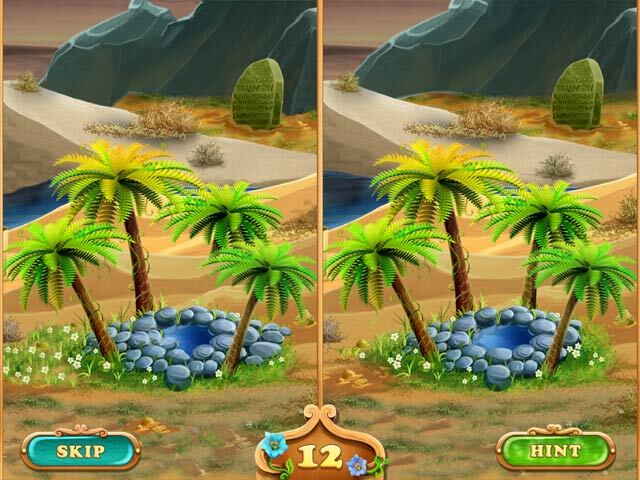 The mini-games (especially the "find the differences" ones) are very challenging. Rated 5 out of 5 by KarenMora from Best. Laruaville. Ever. !!! I own all the others, so I bought it without trying it out. I had a coupon that was about to expire, so it seemed a wise choice. How do they keep coming up with more and unusual layouts, ways to play, etc??? If you're a fan, get this one. If you've never played, definitely try it! Rated 5 out of 5 by bmn5772 from HIGHLY ADDICTIVE (WARNING) I've never fallen head over heels in love with a game until now....I am now addicted to this wildly fun game.....hours on end playing it............I am now happy.....gotta get back to the game. 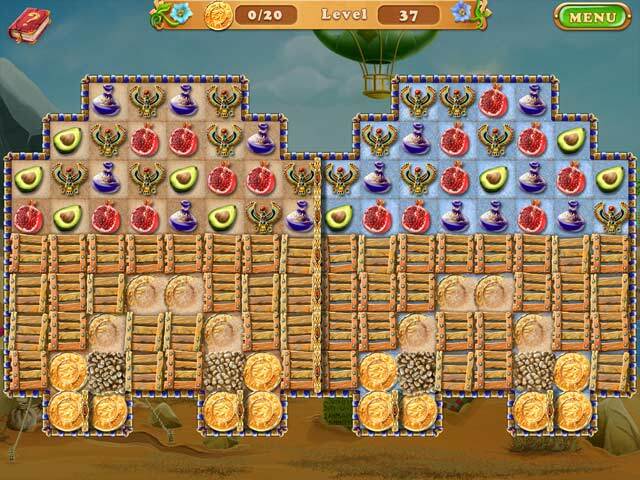 Rated 5 out of 5 by deddu from Mysteries of Egypt Great game as always. If you are not familiar with this series, several ghosts tell the story and build a city. There is a big book that will explain all the functions of the game. 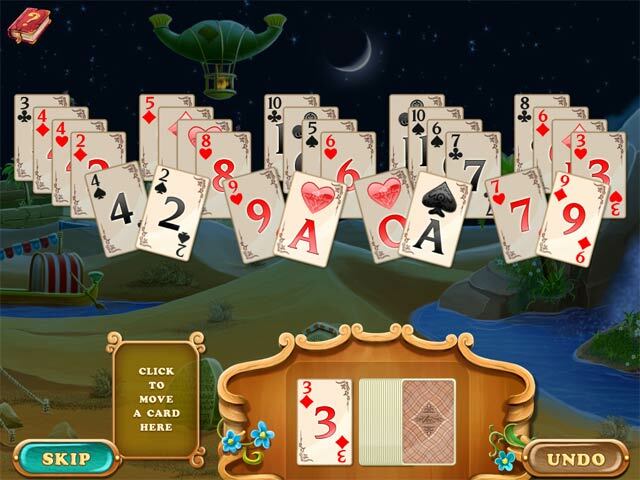 There are also levels of solitaire and find the difference between pictures. However, the best new feature is in the bonus section that is split into two parts. The first 21 you play against the Pharaoh and in the second 21 you have to make sure you do not eliminate the black coin. These are challenging and fun. Rated 5 out of 5 by Bilyeu5 from Fun Again in Laruaville! I stopped buying this series a couple of versions ago. The increased difficulty made the games more frustrating than fun for me! I wonder if others stopped hitting the "purchase" button also, since the maker has returned to an easier...but still enjoyable ...format. It's hard to please everyone, but from the comments I think that many others play these games for relaxation and are happy with the milder challenges. Rated 5 out of 5 by compcrzy from Another chapter in Laruaville! I normally play demos first, but I purchased this one right away because I love the Laruaville series. After reading some reviews I knew it would be like the previous chapters only in a different setting. I love it and I'm not sorry I purchased it. Rated 5 out of 5 by Kalponia from Wow! What a great game! It is the first of the 'Lauraville'-Games I tried and I am so pleased I found it. It is not the average Match-3 game, the gameplay is fluent and it has some very interesting twists. The minigames are also quite challenging! What I enjoyed most is the fact that there is hardly any tutorial at all. What a relief! All in all a very good buy which will keep me happy for quite a while.